Have you ever seen a parent in the supermarket with two children - one perfectly behaved, and one throwing a tantrum? Which one is typically getting the attention while the other stands quietly by? Now that we're into the hotter temperatures of the summer months, think about how hot sidewalks and roads can get when you take your dog for a walk. Are you living in an apartment and considering a giant breed dog? Read this to learn some tips for a successful living arrangement. Each of my lost animal cases is unique as far as the type of animal, location, breed and the reason they went missing. I’m a big proponent of supplying your dogs with as much identification as possible just in case they go missing. However, many of my clients don’t provide any form of identification for their dogs. There’s nothing like vacationing with your dog! My focus in this blog will be on dog behavior and the things you can do to support having a great pet-friendly trip. Although walking with your dog seems like a routine activity, a good walk always starts with preparation and the right equipment. So here are some tips for having the best walk with your dog! While crates and pet seatbelts are important safety products that can help your dog in a car accident, most pet-related emergencies are caused by unruly behaviors displayed by untrained, uneducated dogs. Road trips with your dog can be a ton of fun if they know some important life-saving behaviors like these. Parties and other celebrations can be overwhelming and ultimately fail to meet expectations. However, our dogs never disappoint us when we chose to spend time with them. So today I would like to share with you 5 ways you can ring in the New Year with your dog! Something that I see happen frequently is the dog happily grabbing the leash and trying to turn the leisurely walk into a game of tug. This can lead to frustration and a sore arm. So how do we solve this problem? Victoria will be bringing her renowned "Inside Your Dog's Mind" seminar to Canada in Spring 2016. Hosted by Arf'ul Good and ShannonCourt Pet Care, this one day event will be held at the Cornwall Civic Complex in Ontario, Canada on April 30, 2016. I work in "the dog world." I eat, live, and breathe dog body language, behavior and training. So why was it that when I was faced with a large loose dog charging at me and my leashed dogs, I felt completely and utterly helpless? Dog Training Frustration? Here are 14 things you can do to relax instead of getting frustrated with your dog. Looking for simple and fun indoor games for your dog? Check out this list of 10 easy games you can play inside to keep your dog entertained, exercised and busy. Walking with your dog has so many health benefits. For National Walk Your Dog Week, here's 5 reasons to hit the pavement with your four-legged pal. We wrote previously about what you should start with when you're training a deaf dog, but now I want to touch on something I see many people doing wrong! It's something they don't even think about, but it's a critical mistake that's easy to fix. Tropical storms, earthquakes, hurricanes, fires, floods, mudslides – phenomena no one can be completely prepared for. Yet, with a little preparation, there are things exotic pet owners can do to be ready. “If it’s too hot for a person, it’s too hot for a dog." While I survived being locked in a hot car, your dog likely wouldn't be so lucky. Leaving your pet at home is not an easy part of any pet parent’s day, but here are some ideas to help make your absence a more positive experience for your pets. From frozen treats to baby pools, we have some great ways to beat the summer heat with your dog. Dogs have no way to understand what the those unpredictable explosions are all about. If the fireworks happen to be nearby, dogs may be able to smell them and even feel their vibrations, adding to their fear factor. June 24th, 2016 is Take Your Dog to Work Day! If you are like me and feel guilty leaving your dog at home when you go to work, today is the perfect day to celebrate the fact that you can take them with you! 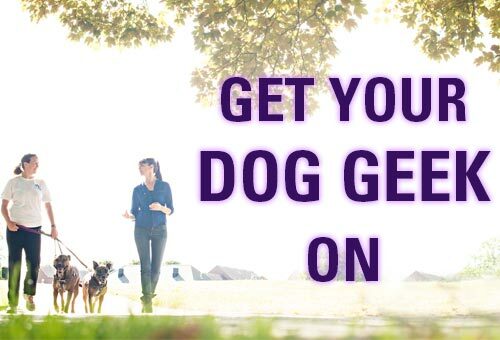 Does Your Dog Really Love That Activity? There is perhaps no greater experience than participating in an activity with your dog that satisfies you both. The bonding experience created is unparalleled. A large part of summer fun for many lucky people includes spending time on a boat. Dogs and cats are often a part of this aspect of summer. There are a few important things to note about boating with your pets. Why Should Your Dog Listen to You? Does your dog listen to you when you ask him to do something? Does he listen half of the time? What about only when you have a treat, or only if you’re inside the house? It’s an epidemic out there – seriously, some veterinary and human parisitologists warning that the ticks are taking over. And where there are ticks, there’s tick disease.